8X ON THE PARK is a new condo development by Brenhill Developments currently in preconstruction at 1111 Richards Street, Vancouver. It soares above the city with iconic architecture designed with purpose. The development is scheduled for completion in 2019. The development has a total of 35 storeys with only 200 units. 8X ON THE PARK offers a rare opportunity to live with an expansive park the size of a city block just outside your door. Steps from the very best of the city: destination dining, nightlife, boutiques, cafes, and the famous Vancouver Seawall. Luxury homes feature the finest quality finishes, furnishings and Miele appliances, private balconies, and a stunning penthouse-level SkyLounge and SkyFitness Centre. Now is your opportunity to start living the park life. 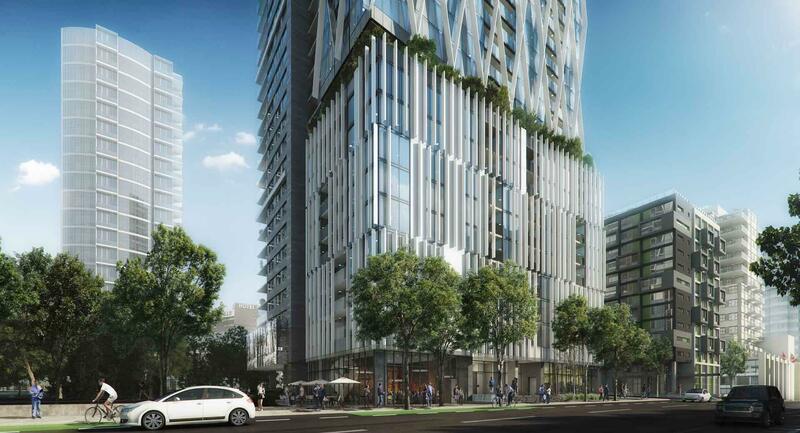 This is a new condo development by BosaProperties currently in preconstruction at 1575 West Georgia Street, Vancouver. 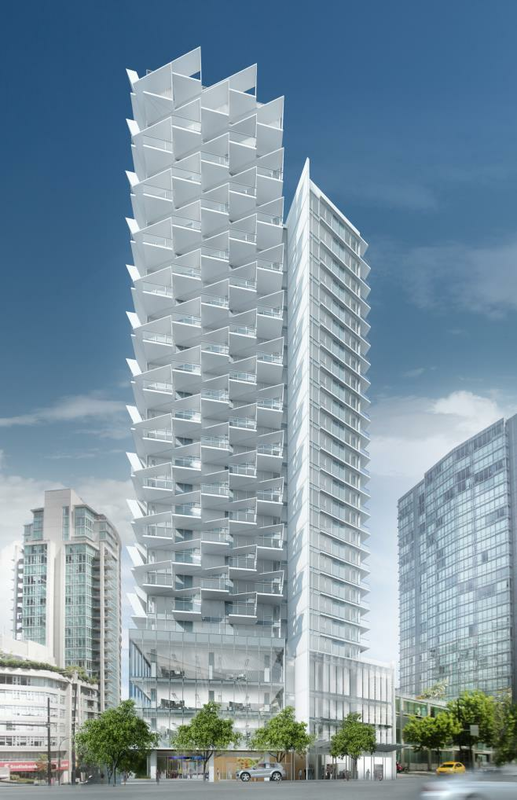 It will be a 26-storey mixed used building in Coal Harbour designed by Henriquez Partners Architects. The development has a total of 184 units. 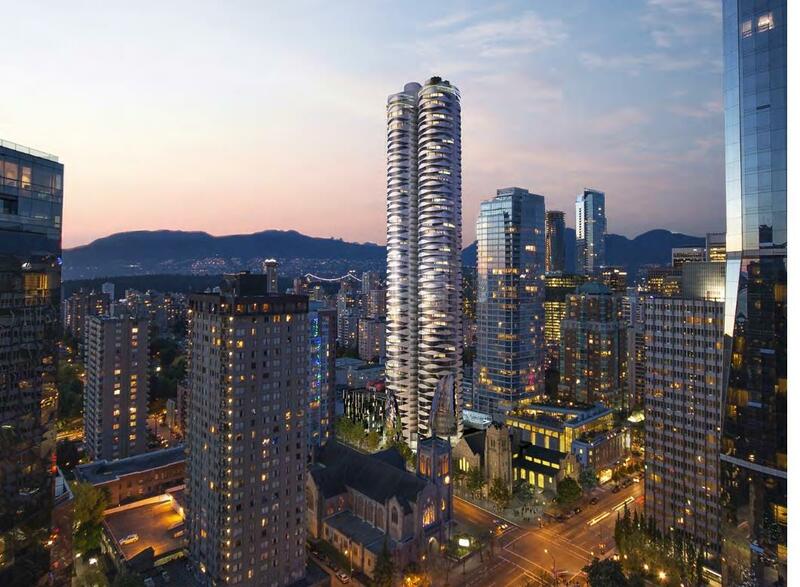 Burrard and Nelson is a new condo development by Westbank currently in preconstruction at 1019 Nelson Street, Vancouver. It involves the historical restoration of one of the oldest churches in Vancouver into an integration of a 56-storey luxury residental tower. It'll have a community space where residents can mingle and build relationships. There will also be a shared outdoor garden space on each level which will be able to reduce the tower's energy requirements by 12%. The development has a total of 295 units. Navio at the Creek provides a rare opportunity to live Parkside and on the Seawall. It is a new condo development by Concert at 95 East 1st Ave which offers 177 homes including 18 distinct townhomes from two boutique buildings: Navio South and Navio North. The two buildings will overlook a 2.7-acre park. Preview for this home is coming this summer and registration has already begun. Don't miss this rare opportunity! The Independent is a new condo and townhouse development by Rize currently under construction at 285 East 10th Avenue in Vancouver. With amazing views of the city, custom Italian kitchen cabinetry and blissful bathrooms, it is the perfect place to live in the Mount Pleasant neighbourhood. The Independent is scheduled for completion in 2017 and has a total of 258 units.